I want to share in this article my lessons about bipolar disorder and also meeting The Dalai Lama. I have learned that handling bipolar disorder takes a huge amount of courage and strength. There is a great quote from the Dalai Lama which states “Happiness is not something really made. It comes from your own actions”. When you live with a mental illness your own thoughts are so important. Many justify being negative because they were diagnosed with a mental illness. In my own life, I faced a very severe battle with bipolar in my teenage years. I spent two years in and out of five different psychiatric hospitals. I had lost my freedom, self esteem and hope. I began to realize that it was up to me to change my thoughts. I became happy for the simple things in life. I eventually found the right treatments and medications. My life slowly and steadily improved. 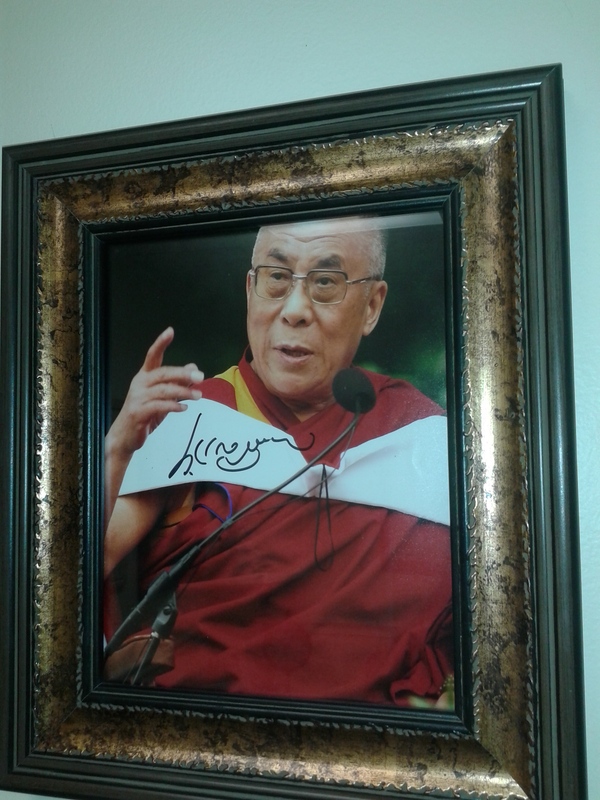 A few years ago, The Dalai Lama was appearing to do a talk at Radio City Music Hall in New York City. I went with a copy of one of his books. I waited at the stage door early in the morning. One kind worker gave me two free tickets to see the talk. When The Dalai Lama was coming in he had about twenty cars and security with him. I was about 100 feet away when I called out “Would you please sign my book?” He somehow heard me and motioned me to come towards him. The security let him sign my book and he posed for a picture. I will always remember the kindness and warmth he showed a young man. Each day we offer education to help others facing bipolar disorder. We offer daily articles on our blog, hundreds of videos, books and a wonderful one on one coaching program. Please know you have the ability to move forward in your life. I finish this article with one more quote from The Dalai Lama. It says “When we meet real tragedy in life, we can react in two ways-either by losing hope and falling into self destructive habits, or by using the challenge to find our inner strength”.